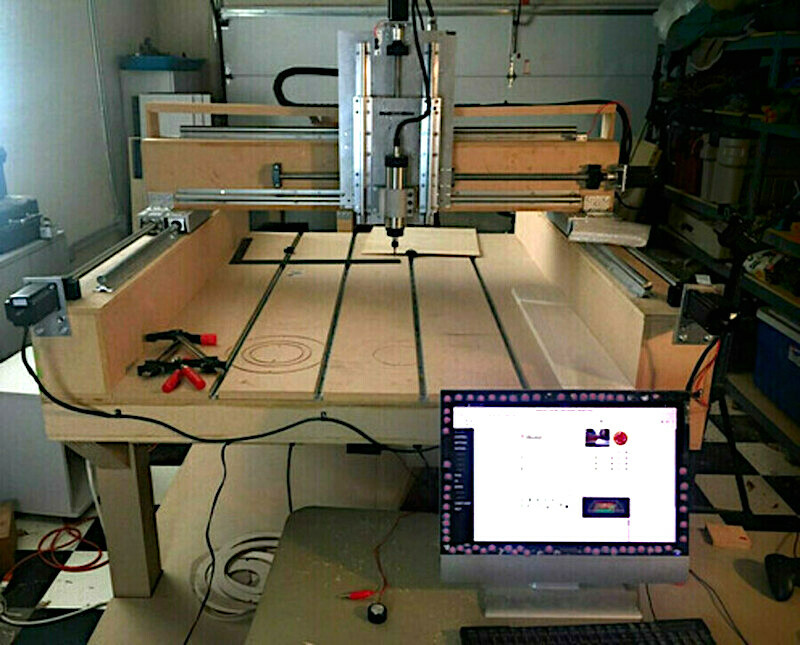 Doug built a custom CNC router using NEMA 23 motors and an air cooled 1.5kW Huanyang VFD spindle. The Buildbotics controller talks directly to the VFD over two wire RS485. 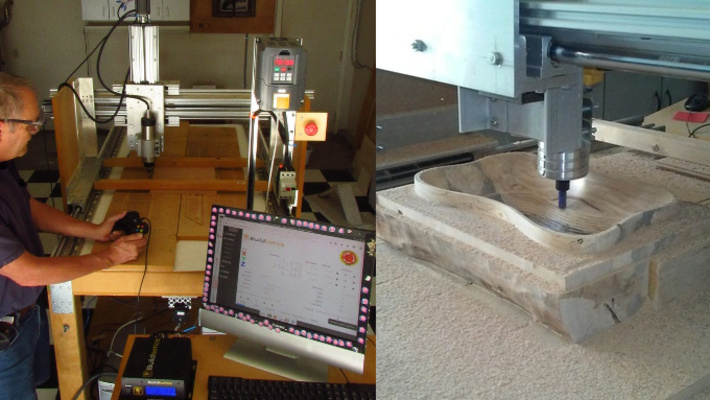 To give the CNC extra strength without greatly increasing the weight Doug built a torsion box. 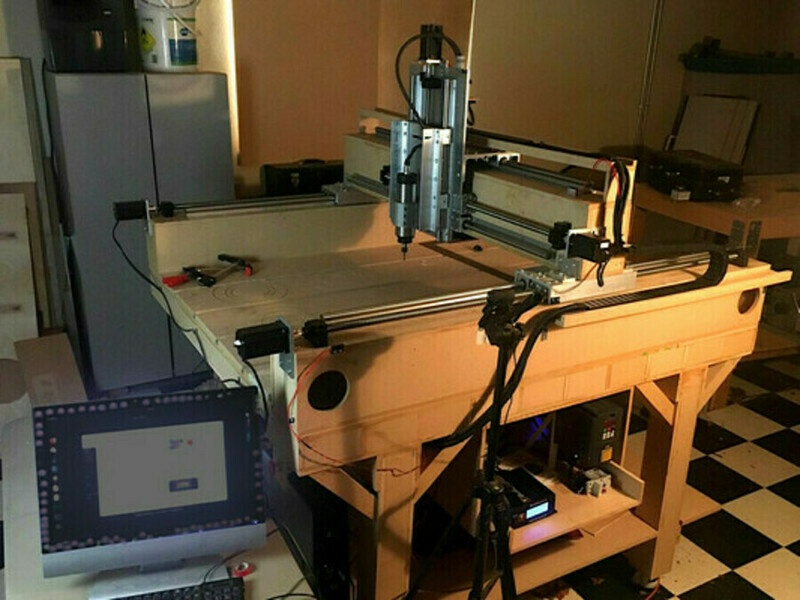 You can find the FreeCAD drawings here. 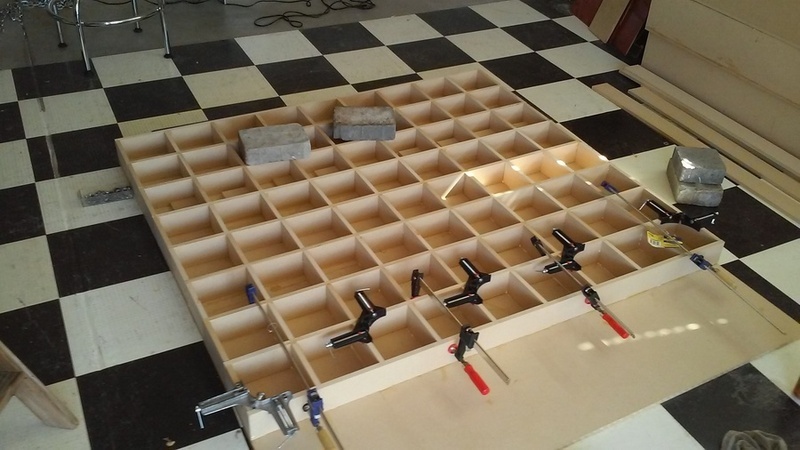 "I found the flattest part of my garage floor, laid a piece of MDF on it to make it even flatter and then started building the torsion box on top of that."